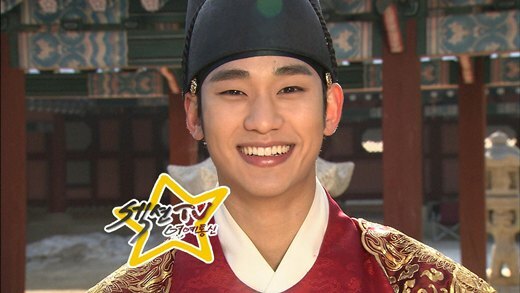 What’s the reason for MBC Wednesday and Thursday drama series The Moon Embracing the Sun to be so popular that it’s becoming a national drama, and been popular right from the start of airing? MBC’s Section TV officially analyzed the reason for the popularity. During the initial broadcast period of The Moon Embracing the Sun, the wonderful acting of the child actors have attracted the attention of the audience, especially the “flower handsome boy gang of four” – Yeo Jin Goo, Lee Min Ho, Lim Si Wan and Lee Won Geun. The ratings of The Moon Embracing the Sun is the result of following up a victory with hot pursuit. In addition, the romance of crown prince of Joseon Dynasty (Yeo Jin Goo) to Yeon Woo (Kim Yoo Jung), and the fated love triangle of both persons with Prince Yang Myung (Lee Min Ho) are also the highlights that attracted the viewers’ attention, after the take over by adult actors, the expectation further deepen. On the other hand, the fated reunion of Kim Soo Hyun, Han Ga In and Jung Il Woo in the drama created a strong sense of tension, and also created the scene that achieved the highest ratings ever.